For those struggling to make this amazing feat, a collection of tips to make you eventual death come a little later. 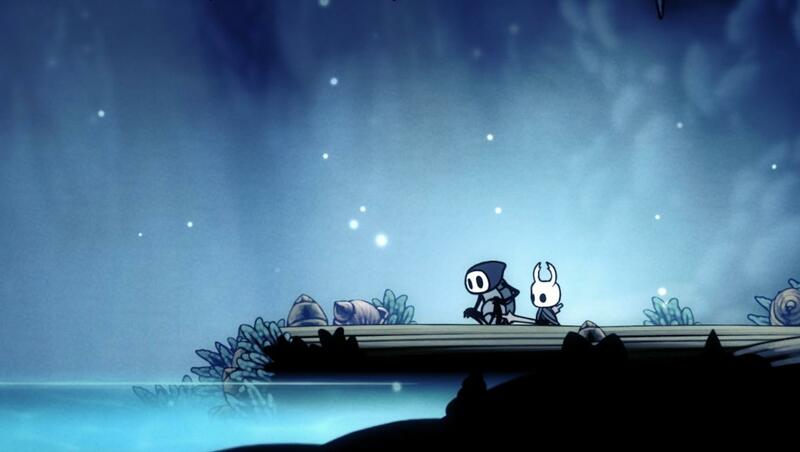 Hollow Knight 100% Achievement Guide. 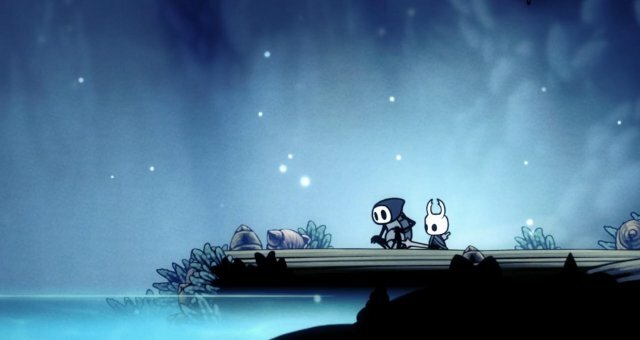 Lifeblood & The Grimm Troupe Update Guide. The Eternal Ordeal: Beating Zote at His Own Game (Godmaster). Complete Guide to the Delicate Flower. So we get to the first boss wich you should have absolutely no problem beating but I understand that there are people that aren't that good at the game so let's start. You ever seen a bullfight? If you haven't I wouldn't really recommend it but thats kind of what we're going to do, wait for each of the fly's attacks and respond accordingly, if he charges at you jump over him and as he's right below you strike him and if you want to spice it up dash toward him after that and strike him again (this won't always work) and jump back on the platform, if he screams take out the adds as quickly as you can so they won't get in your way as you're landing. That's it, pretty easy right? This one's pretty simple, every time right after he charges, you can also heal while he's screaming but if you dont make it in time he charges quickly after (not always) and interrupts your healing so it is possible but if you want to keep it safe just do the first one. With one boss down we get to the fat fly, pretty easy too (since it's one of the first bosses) but it is still part of the pantheon and it kicked my ♥♥♥ when I tried to beat it in ascended mode. I actually got this part from fireb0rn's video (which is actually a speedrun) so thanks :) The Gruz Mother has 2 states, normal and bounce, in normal you're going to strike her from below and after about 4 to 5 blows you need to dodge her charge preferably by going over her and when you have your soul charged use howling wraiths on her. For bounce mode you want to strike her when she hits the ground and move a little to the side she's going to (unless you're against a wall, then you want to dash while she's above) and turn back around instantly to strike her again, I find it easy to sync this to the ryhth of her body banging up and down on the floor and ceiling. For healing spots you have after she charges (just make a little distance before you heal), while she's banging up and down (again, just make some distance before actually healing) and right after she stops bouncing. For the third and actual first boss which is easy to beat and just as easily mastered. When the fight starts dash up to him and start beating him up and when he jumps start charging you nail art (nail arts and spells are going to be extremely useful throught the whole pantheon) and use the great slash as soon as he lands, if he jumps towards you dash under him, if he jumps away from you you can pursue him but he's probably going to do his wave attack so keep that in mind. When you finally get him down you need to stike him four times and when he jumps to the middle of the room stand next to where he's going to land (this can get a bit difficult to get right) and use howling wraiths before he starts smashing, whe he does start smashing dash away (you won't have time to walk) and dodge the falling things, you could hit them but its not really necessary. If you get hit during the fight you really dont have much of an opening, you can heal when he's down and because he stays down a while you can actually dream nail him so you don't have to sacrifice you magic attack but what I recommend is healing after the fight is done, you can dream nail the armor for soul and if you're fast you can get up to 3 masks healed (I got this one from fireb0rn too). So I literally just did the exact same thing fireb0rn did in his video (I don't know where I would be whithout it) so i'm just going to link it. If you don't think you can do the whole combo you should keep it to your max and break it by doing a bounce attack (jumping over the enemy and attacking downwards). After each attack, really easy but you shouldn't try it unless you're sure you've got time. I'm getting tired of making these bits at the start of each section so this'll probably be the last one. Coincidentally this is the last boss of the first section, after you finish this one you get a small break room before you're thrown into hell again. At the start of the fight charge great slash while she does her intro animation and smack her, now the really safe way to play this is watch her every move and dodge by dashing or jumping and when she stops use great shash on her and start charging it again, when you have you soul ready use the shade soul on her and you could do a more agressive approach by actually moving towards her and making a significant effort to not get hit since you get a bench and soul juice after the battle but that's more dangerous than the alternative so up to you. Does it show that I'm getting tired already? Anyway, just make some distance (and by some I mean the whole room) and if she either dashes or throws her nail then you can heal while she attacks, if she air-dashes you need to get out of the way or you're getting hit, you can also heal while she's recovering from the ♥♥♥ beating you just gave her.